If there were ever a perfect thing in this world, that tin would be it. It's beautiful! So inspirational! Makes me want to do my own band-aidesque knock off illustrations. Whenever Amanda and I make it out to Atlanta, we're hitting that antique place up for sure. Jared, it's a montly flea market that happens on the second weekend of each month. If you ever make it out here, try to time it out right, and Andrea and I will show you two around. It's a fun, dusty blast! 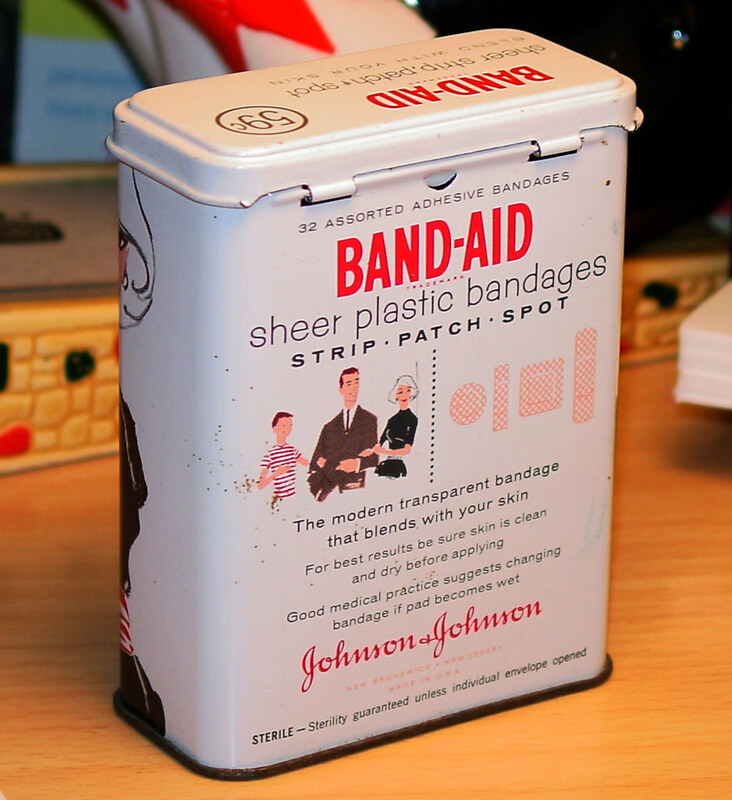 what a sweet looking band-aid tin.. I love old collectibles. I have some old spice tins. where is this antiques place and are they reasonably priced or over priced? yeah, I've always loved that thing. That tin is waaay too cool. - like she's so sophisticated that she buys "sheer" band-aids not to disrupt her style. a funky font - like the thinness of it. I love the word "swank." Darn, I love those products with real characteristics and charm. Too bad nobody makes those stuff anymore. Sniff! WOW! I have this tin in my collection! How much dough did you shell out? Too Cool!!! 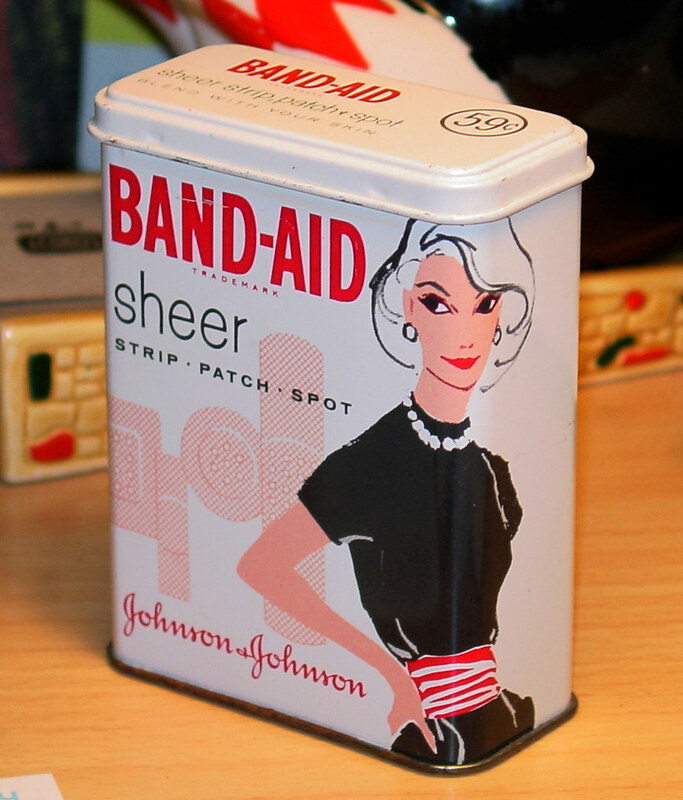 I remember that bandaid tin! Brings back memories of bike falls and shins scraped on trees! Hey....its pre 1957 because they stopped making band aids in New Brunswick, NJ in that year, which on the back of the tin it says it was made in New Brunswick. so its older than the 60's! I just started collecting these, i have this one as well. I love it, I am collecting all the colors of her outfit and sizes...Coolness!